As if in response to the austerity both in the clothing and music of the punks and post punks, the New Romantics burst floridly onto the scene at the beginning of the 1980s. Part of its joy, in fashion, was androgyny, with men in flowing clothes and makeup, blurring gender lines, and for the first time, being gay was quite acceptable (Boy George and Culture Club emerged from the New Romantic Scene). It was as if, after a period in black and white, music became techni-colour again. Unlike punk, which remained a subculture, the New Romantics broke heavily into the mainstream and many became very successful bands. Unlike the sharp abrasion of their predecessors, the sound was smoother, characterised by the keyboard wash of synthesisers, which had just become commonplace and easily affordable. A favourite of Princess Diana, the boys from Birmingham first came together in 1978, but didn’t release their first single until 1981, by which time they’d fully developed their style and sound – and been the subject of a label bidding war. However, they didn’t really strike the jackpot until their third single, Girls on Film, whose video became quite notorious (and was banned by the BBC). In fact, they became the first band to fully exploit the possibilities of video and the new MTV, which helped make them into massive global stars, reaching a peak between 1983-85, when they decided to take a break from working together. After that, things declined, and the hits weren’t as regular, although a revival in 2003 found them selling out arenas. Emerging from Blitz, the main London club of the New Romantics, there was already a huge buzz about Spandau Ballet when they recorded their first single, To Cut a Long Story Short, in 1980. More hits immediately followed, and their debut album went gold, with its dance-y sound. 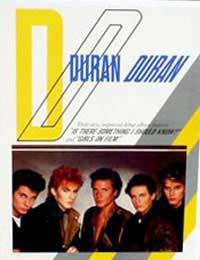 They continued to milk New Romanticism until 1983, when the tide seemed to be turning, and they began dressing in suits, releasing more mainstream material, like the global hit True. The hits continued until 1986, when the band took a break from recording, with the Kemp brothers, the heart of the band, moving into acting in the film the Krays. After a less than fruitful return to the studio, the band broke up in 1989. Signed by Virgin after being turned down by EMI, Culture Club weren’t an overnight success; it wasn’t until their third single, Do You Really Want To Hurt Me?, that they hit the charts, propelled in part by singer Boy George’s soulful voice – and even more by his startling appearance, which confused many people, looking as much female as male. It was the first in a string of hit singles and albums that lasted until 1986, although towards the end of their career they were hampered by George’s heroin addiction. After, he’d go on to a successful solo career as a DJ. The band reunited a couple of times, but never for that long, and George has continued to be dogged by drug problems. Sheffield’s ABC brought literacy and passion to New Romanticism, whilst A Flock of Seagulls and Modern English were remembered more for their exaggerated hairstyles than their musical output. Ultravox, Visage and Depeche Mode all began life as part of the New Romantics, but broke off to start the Electro movement.